What are the ways of earning ? A: 50 Rupees Straight Away for Article With 500 Views. B: +50 Rupees For Article with 1000 Views. C: +100 Rupees For Article With 4000 Views. D: +100 Rupees For Article With 8,000 Views. A: Posting as a Facebook User:Like our facebook Page (Facebook.com/Trendfy) + Share any of your favorite article OR Share Trendfy.com’s Home Page(with your friends informing about what we offer) & Get 50 Likes on that Post to Earn 100 Rupees. B: Posting as a Facebook Page: Like our facebook Page (Facebook.com/Trendfy) + Share any of your favorite article OR Share Trendfy.com’s Home Page (on your page informing them about what we offer) & Get 100 Likes on that Post to Earn 50 Rupees. (Note: Privacy of the post should be Public for us to see). C: Posting in a Facebook Group: Same requirements as that of Facebook Users. *We are paying huge during our promotional period , till 14 February 2013! How will I Get Payed ? The benefit of using Trendfy for earning from Articles is that we don’t require Any of you Bank Account information or ask you to create accounts on non trusted sites for payments instead we provide ways in which you can receive Money instantly & Securely. Mobile Recharge: Just After you complete the easy to reach requirements as stated in above Question, You will receive payment which you achieved example: 100 Rupees. Then your mobile will be recharged with 100 Rupees balance. 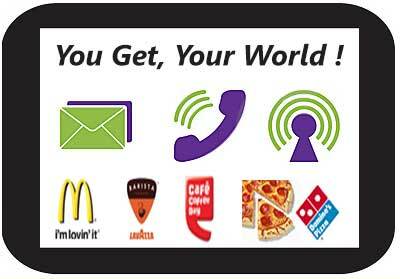 We offer Coupons of McDonald’s, Barista Lavazza, Cafe Coffee Day & some more. You will have to select the Coupon of company you love the Food/Product of. Just After you complete the easy to reach requirements as stated in above Question, You will receive payment which you achieved example: 100 Rupees. Then you will receive a Coupon of 100 Rupees to your address.